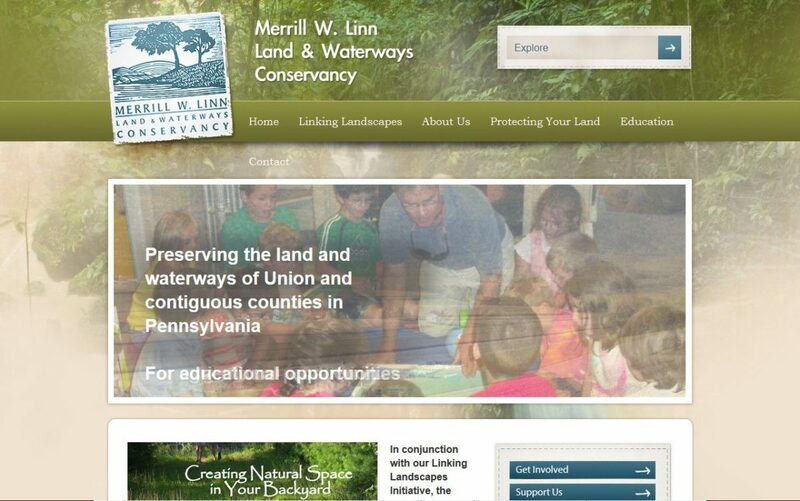 Since 1988, the Merrill W. Linn Land & Waterways Conservancy has worked to protect and preserve significant ecological sites in Union and surrounding counties of Pennsylvania. The client asked us to redesign their site with WordPress in order to have a professional looking site that they could maintain themselves. They needed a new site to increase community support for the organization.